Alhambra / Schaller Grand Tune Classic Hausser. 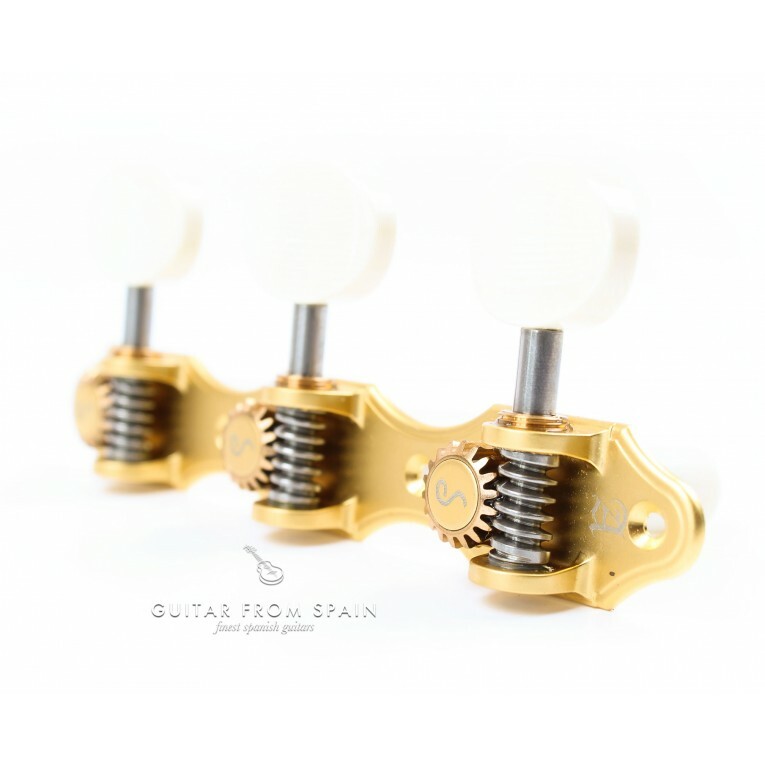 Professional Alhambra guitar tuners for classical guitar and flamenco guitar. Superior quality components, innovative design and meticulous craftsmanship combine for tuning performance. 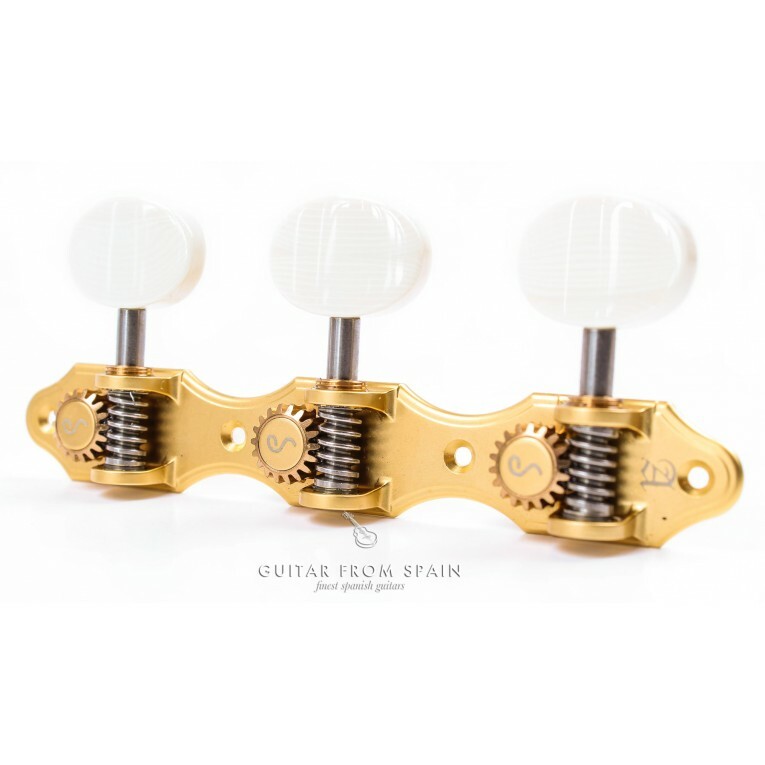 High precission machine heads with sealed bearings and aluminum rollers, gold plated, hand made pegs ivory finish, clinched bearings, pack of six tuners with screws. 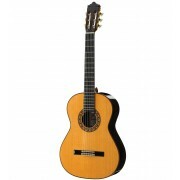 Used in Alhambra's professional guitar models. With its cutting edge Velvet-Tec* technology the all new Schaller GrandTune® is the ultimate combination of tasteful design and velvet-smooth feel and touch. 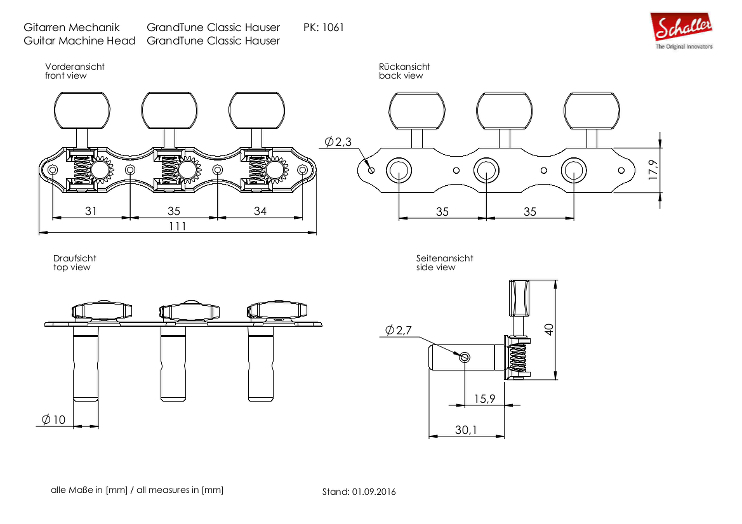 Due to its revolutionary conception the GrandTune® offers a precision and longevity second to none. 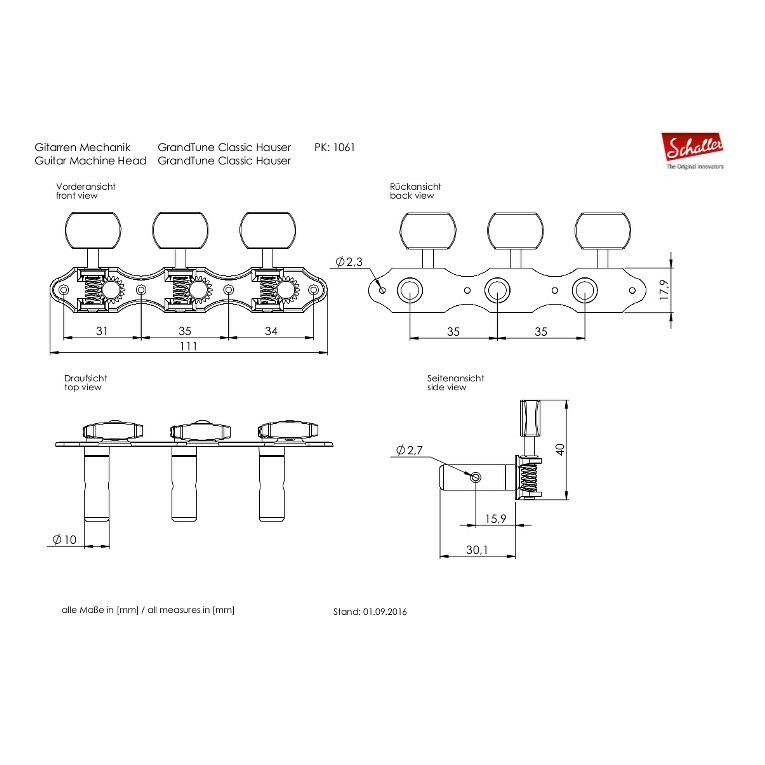 The avoidance of synthetic coatings makes GrandTune® a perfectly resonating entity. With its wear-free architecture GrandTune® is bound to last and shine as long as your precious guitars ever will and far beyond! Experience Velvet-Tec and find out how sound quality, tuning stability and performance define GrandTune® as the Superior Tuning Machine.